The usually bespectacled, mousy, mealy-mouthed, tremble-chinned Byron Foulger was a constantly busy character player in over 600 movie and TV roles from 1934-1970. Born August 27, 1899, in Ogden, UT, Foulger began performing with stock and repertory companies after graduating from the University of Utah. On Broadway he appeared in at least five productions from ‘20-‘22. 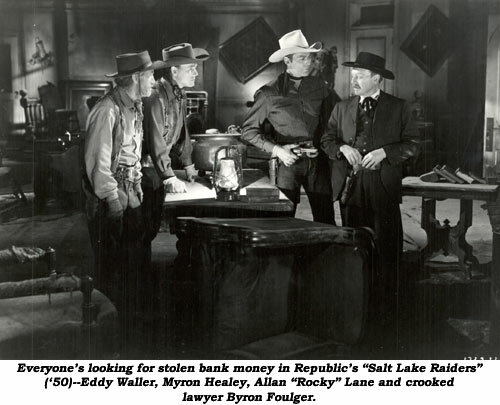 From Broadway Foulger entered the Circuit Repertory Company of the Moroni Olsen Players, touring principal cities of the Northwest. 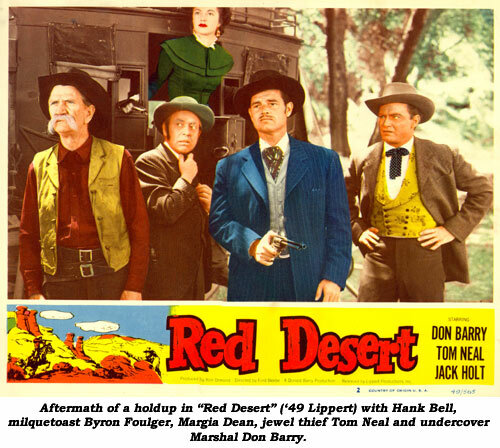 It was at this time he met and married weepy-eyed character actress Dorothy Adams. During the Depression of 1929 and the early ‘30s Byron was associated with the Pasadena Playhouse. His first time before a camera was as a villager in “The Little Minister” in ‘34. 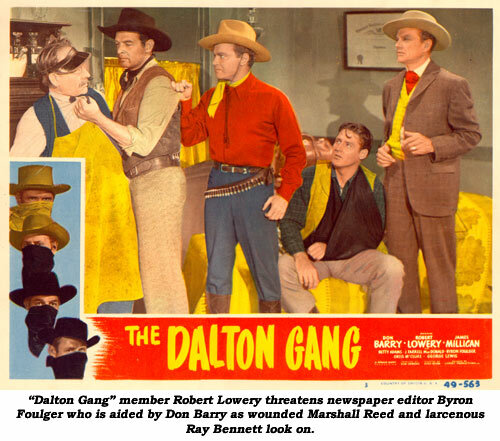 Hollywood found Foulger could play any part, but excelled as mild-mannered, fidgety or sanctimonious storekeepers, hotel desk-clerks, farmers, morticians, professors and bank tellers as well as confidence men and whining henchmen who inevitably betrayed their yellow streak by the end of the film. By the ‘50s he was so established as a timid worry-wart that it was only necessary for him to show his face on screen to get a welcoming smile from the audience. In 1944 alone he appeared in 35 films, including an excellent turn as Brian Donlevy’s secretary in Preston Sturges’ “Miracle of Morgan’s Creek” (‘44), proving he could mold a small role into something memorable. He was also superb as Mr. Bub (aka Beelzebub, the Devil) in the Bowery Boys’ “Up in Smoke” (‘57), and stood out as an itinerant preacher decrying the wages of sin in “Satan’s Cradle” (‘49) with Duncan Renaldo as the Cisco Kid. Late in his career he joined the cast of TV’s “Petticoat Junction” first as Mr. Guerney and later Cannonball engineer Wendell Gibbs. 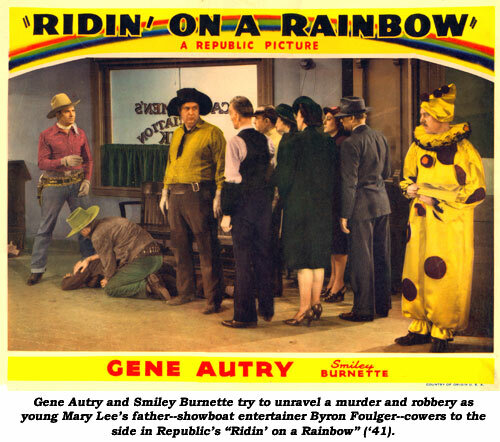 Besides Foulger’s various character roles in both A and B films, his villainy stood out in the Three Mesquiteers’ “Heroes of the Saddle” (‘40) as a crooked orphanage superintendent; as Mary Lee’s larcenous father in Gene Autry’s “Ridin’ On a Rainbow” (‘41); a crooked bank teller in “Michigan Kid” (‘47) with Jon Hall; a modest barber who turns out to be the secret head of the outlaws in Richard Martin’s “Adventures of Don Coyote” (‘47) as well as TV’s “Wild Bill Hickok: Dog Collar Story” and “Close Shave for the Marshal”; a crooked lawyer in Allan “Rocky” Lane’s “Salt Lake Raiders” (‘50) along with “Lone Ranger: Tumblerock Law”; a timid jeweler who is actually a notorious killer in Don Barry’s “Red Desert” (‘49); a devious banker’s assistant on “Lone Ranger: Trouble For Tonto” and an outlaw-leader masquerading as a watch repairman on “Lone Ranger: Blind Witness”. Foulger had just completed a small unbilled role in Kirk Douglas’ “There was a Crooked Man” (‘70) when he died of heart problems at 70 on April 4, 1970.